No, please, not the Tom Ford. If you are of a sensitive disposition, I suggest you exit this article right away, go and make yourself a cup of coffee, amuse yourself with a few cat memes and forget that you ever saw this. But you're not going to do that are you? No, despite my stern warning you are going to proceed, because some sick tiny part of you wants to see a Tom Ford lipstick get destroyed. 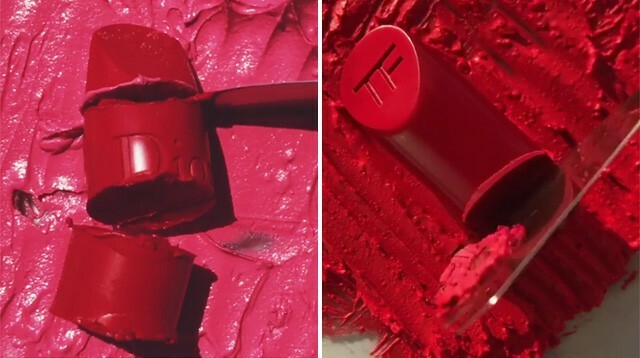 RIP Rouge Dior lipstick. You were loved. But there is a method to her madness, because Emily 'smushes' your favourite lipsticks to create her own custom colors, like this stunning mauve shade. Someone keep me away from my Charlotte Tilbury lipsticks for the next 24 hours please. And hide the scalpels.